This hearty soup has all the great flavors of cabbage rolls without all the work. 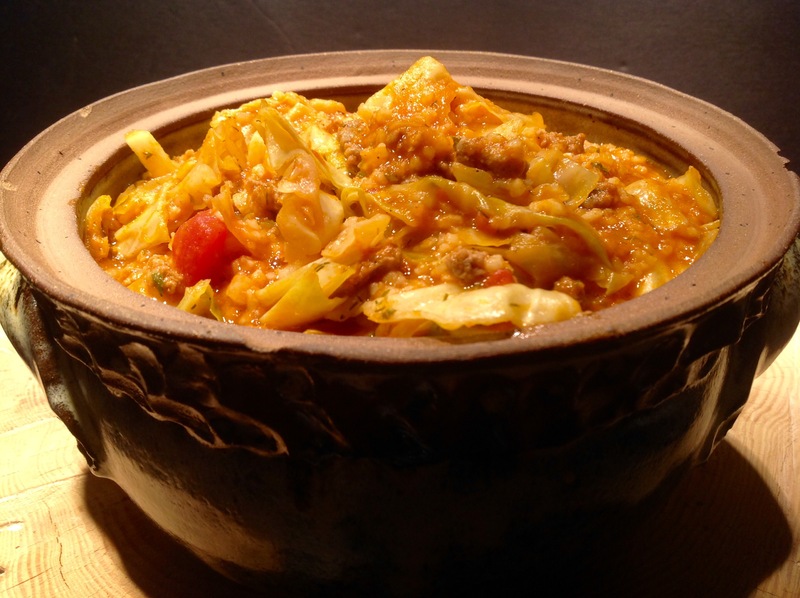 Essentially deconstructed cabbage rolls, it is made stovetop, a one-pot meal. Loaded with heart healthy cabbage in a rich tomato broth, it is more stew than soup. You can make it with ground beef or ground turkey. I seasoned mine with bay leaves, dill and parsley but go with the flavors you are partial to from your favorite cabbage roll recipe. Ready in about a half hour, it is a warming cold weather dish everyone will want to dig into. Hearty and filling, no one will suspect it is low calorie. So good. Grab a bowl! In a large soup pot, brown the beef or turkey, stirring to break it up. Add the onion and cook until the onion is translucent, about 8 minutes. Add the garlic and cook 1 minute longer. Add the rest of the ingredients except the lemon juice. Cover and bring to a boil. Lower the heat and simmer for 30 minutes. If using brown rice, you may need 10-15 additional minutes of cooking time. Add in the lemon juice. Can be made in advance and reheated. Add more broth if you prefer a more soup-like consistency. Remove bay leaves before serving. This entry was posted in Recipes and tagged Cabbage roll soup, deconstructed cabbage roll soup, deconstructed cabbage rolls by Johanne Lamarche. Bookmark the permalink.